In user Module user can register yourself. After Registration user can login with own email id and password. if user forgot own password than user can request for password using own email id. Note : Forgot password will not work on localhost. 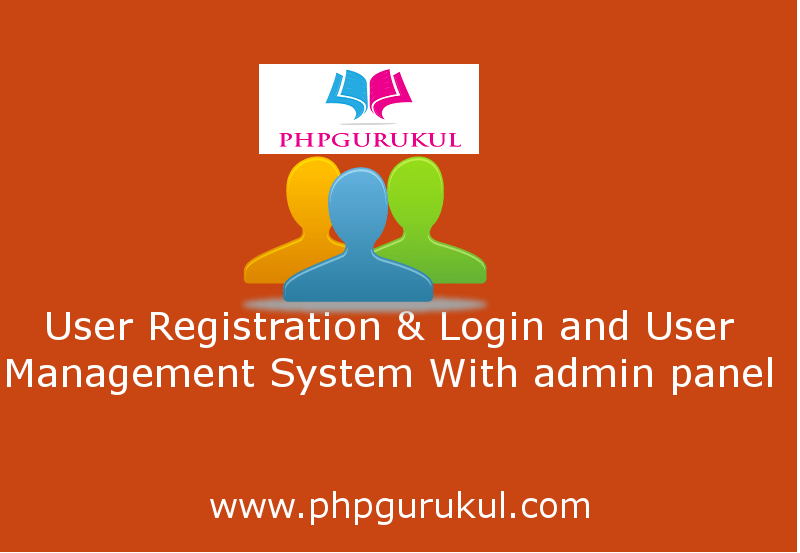 Admin can manage all registered users. Admin can update the user information and delete the user. Sir, can i know what is this error happen? This issue is fixed. Download the latest updated code. wow…lovely website….im php developer…bfore was working for abt 7 yrs..now after having break ….just started my php coding ….felt ur websites very useful…… kindly help me in building my confidence…. I am glad this website helped you. Do I have to import something to MySQL database? You have to import database . After registration can we send direct email to registered user..